YOKOHAMA, Japan -- Nissan Motor Co. reported a 15 percent drop in operating profit in the latest quarter as foreign exchange losses, falling revenue and rising incentives sapped earnings. 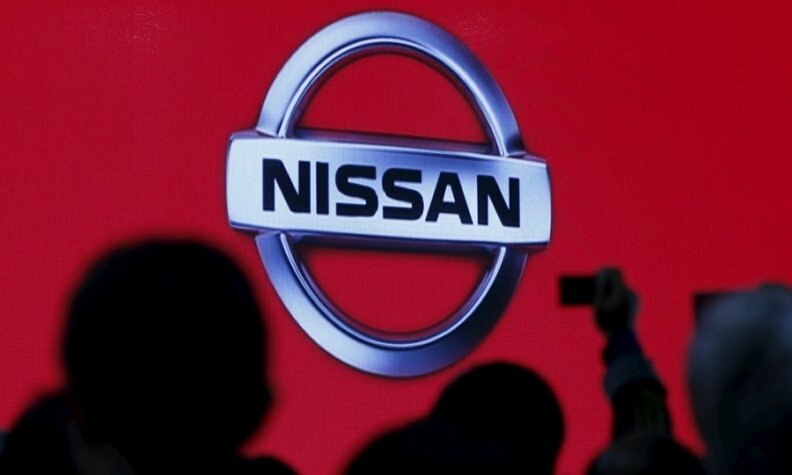 Operating profit declined to 163.51 billion yen ($1.40 billion) in Nissan's fiscal third quarter ended Dec. 31, Corporate Vice President Joji Tagawa said Thursday while announcing results. Net income increased 3.5 percent to 131.73 billion yen ($1.13 billion) in the October-December period, from a year earlier. Nissan attributed the rise partly to increased income from equity and earnings from affiliated companies, such as Nissan's Chinese joint venture, and a one-time expense in the same quarter of the previous year that depressed results then. Worldwide revenue decreased 2.2 percent to 2.94 trillion yen ($25.29 billion) in the quarter as global retail sales advanced 8.3 percent to 1.38 million vehicles. Tagawa said Nissan's core auto performance in the quarter remained strong but that earnings results were dented largely by the appreciation of the Japanese yen. Shifting foreign exchange rates cut some 81.6 billion yen ($699.1 million) off operating profit in the fiscal third quarter. Operating profit margin came to 6.7 percent at the end of the third quarter, still distant from CEO Carlos Ghosn's Power 88 midterm business plan goal. It targets a global operating profit margin of 8 percent and an 8 percent market share by March 31, 2017. But in October Ghosn told Automotive News Europe sister publication Automotive News that his company was unlikely to get to 8 percent by next spring because foreign exchange rates are sapping earnings. Ghosn is fighting fluctuating exchange rates that have battered earnings across the board at Japanese automakers this year. But other uncertainties loom for Japan's No. 2 carmaker, including the effect of trade policy under U.S. President Donald Trump and the integration of former rival Mitsubishi Motors Corp. into the Nissan's alliance with French partner Renault. Nissan finalized its purchase of a controlling 34 percent stake in Mitsubishi last October and appointed Ghosn its chairman. At the time, Ghosn forecast nearly half a billion dollars in savings as soon as the next fiscal year as the group joins a club of automakers operating at a massive scale. On Feb. 8, the Renault-Nissan alliance said its worldwide sales surged to 9.96 million vehicles in calendar year 2016, including some 934,013 units from Mitsubishi. Mitsubishi's purchase pushed the global alliance's sales 17 percent higher in 2016. Without including the smaller Japanese carmaker, the alliance's sales have advanced just 6 percent. Nissan is also especially sensitive to any changes in U.S. trade policy as Trump considers a tariff on vehicles from Mexico and a border adjustment tax imports from elsewhere. Nissan imports about 42 percent of the vehicles it sells in the U.S. but is even more vulnerable to a Mexico tariff. Nissan sources about 22 percent of its U.S. volume south of the Rio Grande. Despite uncertainty about trade and Mexico in particular, Tagawa said Nissan will go ahead with its plans to start producing Infiniti brand luxury vehicles at a new plant that will open this year in Mexico. That plant is being jointly operated together with Daimler. If trade policies or regulations change in the U.S., Nissan will "comply accordingly," he said. North American profit was hit especially hard by swinging foreign exchange rates, especially the yen's appreciation against the Mexican peso and Canadian dollar. The dollar's appreciation against other currencies also hurt. Together, swinging currencies cut about 70 billion yen ($599.7 million) off regional operating profit in the fiscal third quarter alone. As a result, North America operating profit tumbled 72 percent to 26.90 billion yen ($230.5 million) in the period. North American retail volume increased 7.9 percent to 534,000 vehicles, while U.S. sales advanced 5.2 percent to 381,000 vehicles in the three-month period. Nissan's North American operating profit was further undercut by rising incentives and higher outlays to cover falling residuals on cars coming off lease, Tagawa said. "Used car prices are falling. As a result, residual value of lease cars is deteriorating," he said. "And on top of this, non-performing debts are deteriorating. So overall, in the North American operation in the third quarter, we see a deterioration in particular." Nissan has also been struggling to keep up with the market shift toward more profitable light trucks, away from thinner-margin cars. Nissan is more heavily weighted toward passenger cars than its direct rivals, and incentives on those cars are typically higher than they are for trucks. Nissan derived about 49 percent of its U.S. sales from trucks last year, while the trucks account for about 61 percent of overall market volume. Nissan aims to turn that around in the fiscal second half by strengthening its light truck lineup through the recent launch of the Titan half-ton pickup and redesigned Armada SUV. "In the fourth quarter, we are considering several countermeasures and we believe things will be better than we see today," Tagawa said of the North American business. In Europe, sales increased 4 percent to 180,000 units, while the regional operating loss narrowed to 8.4 billion yen ($72.0 million) from a loss of 10.8 billion yen ($92.5 million) a year earlier.